n apt way to keep apples fresh, juicy and crisp for days together is- wrap each apple (that are firm and are free from any bruises and blemishes) with a piece of newspaper and place them in a plastic bag and refrigerate. Moreover if you are short on time simply arrange them on a tray with shredded newspaper. 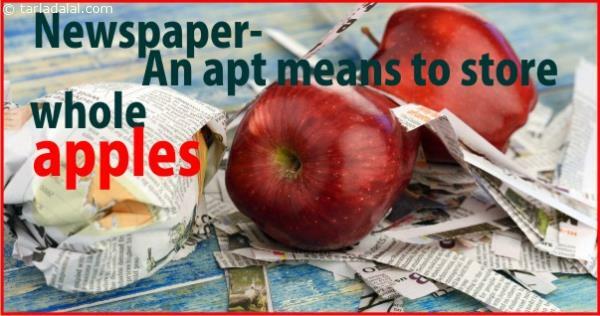 Paper absorbs moisture thereby preventing any spoilage!